Learn more about medical collections and National Healthcare Collections. Do you have questions about collections for your medical or healthcare practice? Collecting on past due patient amounts can be challenging. How do you keep patients while collecting the money due for previous visits. Watch the medical collections videos below for answers and information about our unique approach. If you have a specific question, email or call us at 877-313-4138. Why you should use a collections company for your medical practice. Why you should use a healthcare specific collections company. How does payment & reporting work? Your medical office team members are experts at time management and problem solving. When the issue of delinquent accounts comes up, you need an effective, low maintenance solution that can match the professionalism and relationship skills of your team. NHC are debt collectors attempting to collect a debt. Any information obtained will be used for that purpose. Why you should use a collections company for your medical company. 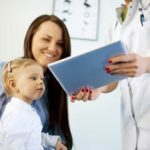 Should your practice offer credit to your patients? Copyright © 2017 National Healthcare Collections. All rights reserved.